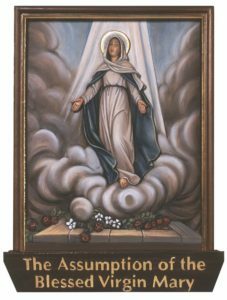 Like the dogma of Mary’s Immaculate Conception, the dogma of the Assumption is not explicitly stated in the Bible. 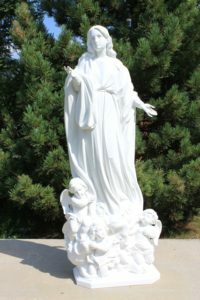 The teaching that ‘at the end of her earthly course, Mary was assumed into heavenly glory, body and soul’ was dogmatically defined by Pius XII in 1950 in Munificentissimus Deus. This encyclical mentions many “holy writers who … employed statements and various images and analogies of Sacred Scripture to illustrate and to confirm the doctrine of the Assumption….” (#29) Though admitting that these “theologians and preachers … have been rather free … in their use of expressions taken from Sacred Scripture to explain their belief in the Assumption” (#26), Pius XII maintained that in defining the dogma of Mary’s Assumption, he merely fulfilled his divine commission to “faithfully propose the revelation delivered through the Apostles” not to “manifest new doctrine.” (#12) The Catholic Church believes this dogma to have been present in Sacred Scripture or Apostolic Tradition, at least implicitly. 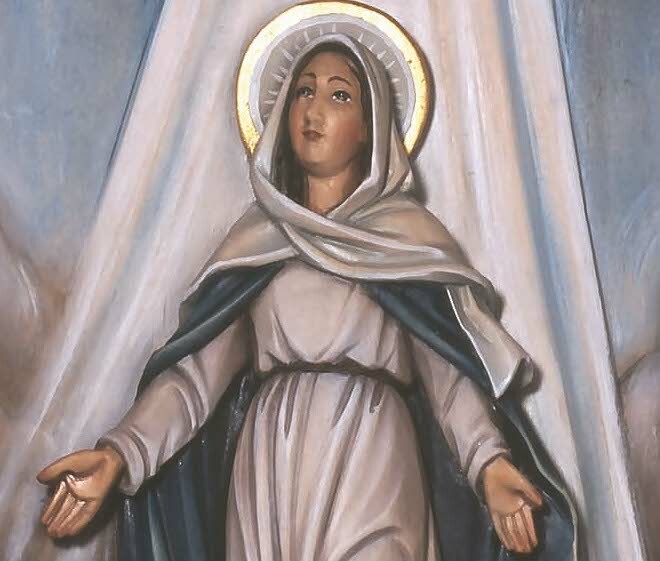 Hence, scriptural interpretations accommodated to Mary by ‘prophetic expandability’ may be legitimate, not because of academic evidence or “any merely human effort” (#12), but as signs of the “protection of the Spirit of Truth” (#12) in the Church. The article goes on to site the passages, including John’s vivid description of “the Woman clothed with the sun” in Revelations. 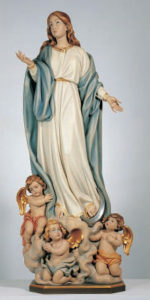 To this day, the Feast of the Assumption is celebrated on August 15 by Catholics around the world. In Mazzolini Artcraft’s home town, Cleveland, Ohio, the annual celebration in Little Italy is one of the highlights of the summer and draws thousands of people, of all backgrounds. This year is the 120th anniversary of the event. 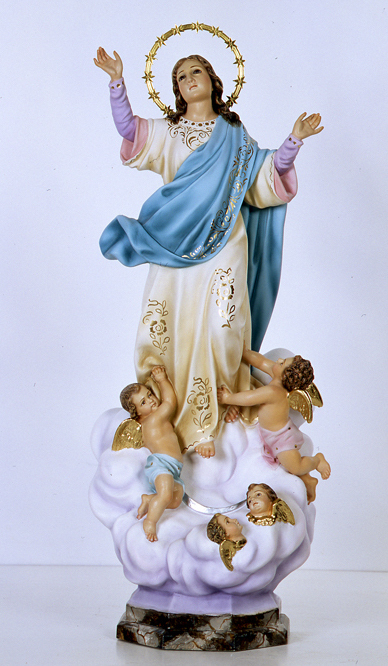 With our partner Art Studio Demetz of Italy, Mazzolini provides a wide array of statues of the Virgin, in many media and size. Here are just a few. For more information, contact John Mazzolini at 888-437-4499 or [email protected].